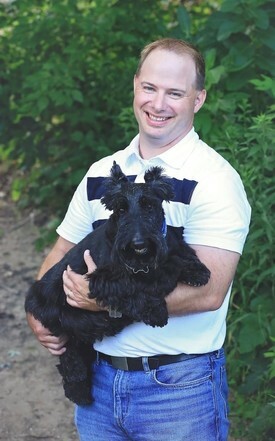 Nathan Hein, DVM was born and raised in Eastern Iowa. Nathan garnered both his undergraduate and veterinary degrees from Iowa State graduating from the College of Veterinary Medicine in 2004. Nathan then completed an internship program and practiced as an associate veterinarian in Houston, Texas prior to moving back to Iowa. Nathan and his wife Joanna took ownership of Heartland Animal Hospital in October of 2010. With great support from the community of Marion, the hospital grew to a point where it needed more space to meet the needs of its growing client base. In 2015, he led the construction of the new hospital at its current location. Dr. Hein's professional interests include ophthalmology, diagnostic imaging (radiology and ultrasonography), dental care, and surgery. Nathan continues to pursue on-going education in dental care and ultrasound to enhance the hospital’s service in these two areas. He enjoys golfing, triathlons, and spending time with his family. A great passion of Nathan’s is supporting and attending Iowa State University football and basketball games with his family. 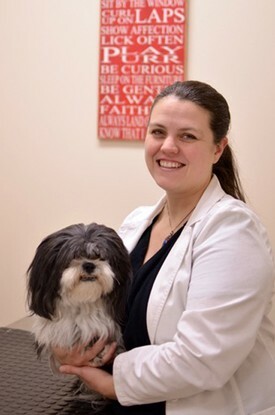 Dr. Joanna Mangold, owner of Heartland Animal Hospital, is from Eastern Iowa and graduated from Iowa State University, College of Veterinary Medicine in 2004. After graduation, Joanna moved to Phoenix, Arizona to complete her veterinary internship. Upon completion of her internship she moved to Houston, Texas and practiced Veterinary Medicine there for 5 years. Joanna has a special interest in dermatology and exotic pet care. Joanna sees all of Heartland Animal Hospital's exotic pet patients on Wednesdays, by appointment only. In her spare time, she teaches dance at Dance Academy of Cedar Rapids and is a member of Junior League of Cedar Rapids. She enjoys reading and traveling. Dr. Catherine McMillan is proud to say that she was born and raised in South Eastern Iowa and is very excited to be part of the amazing Heartland team! Catherine graduated from Ross University School of Veterinary Medicine in 2014 and is currently living in Cedar Rapids. She has the serendipitous pleasure of serving 3 dogs and 1 cat (Timmy, Nala, Maribell and Nyssa). Catherine has a very strong interest in felines, low stress handling and pain management. She looks forward to the opportunity to form relationships with both clients and their beloved pets. 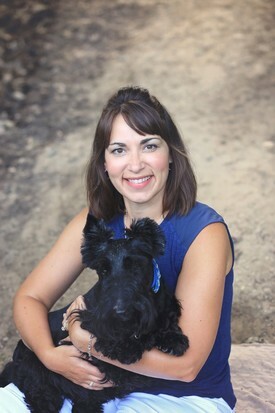 Dr. Jaclyn Klopfenstein Allen received her DVM in 2011 from Iowa State University. Dr. Allen is a third generation veterinarian, following in her grandfather (Vic Klopfenstein) and father, Mark Klopfenstein's footsteps. Having grown up around veterinary medicine, she knew at the age of 3 it was her calling. Dr. Allen's interests in veterinary medicine include ultrasonography, internal medicine, soft tissue surgery, preventative care and dentistry. Dr. Allen was a 2004 graduate from Marion High School. She married her high school sweetheart, Jeremy Allen and together they have two children and two "fur kids," Remy a Golden Retriever and a cat named Jemma. Her hobbies include spending time with family, boating, traveling, skiing, playing soccer, cheering on the Iowa State Cyclones, scrap booking and crafting with her kids. She also enjoys expanding her veterinary skills and knowledge through reading and continuing education opportunities. Dr. Allen is looking forward to getting to know the clients/patients and continue being involved in the community.